You may be familiar with the term ‘retrograde’ in relation to planets when reading your horoscopes, here we explore more about what it means and how best to harness these changes to improve your day-to-day life. As Mercury has a shorter year than Earth, it moves backwards (or retrograde) 3-4 times per year, generally for around 3 weeks at a time. During these periods you may find there is more tension in your life, communication in general at home, at work and with loved ones is more fraught. You may find that travel plans are interrupted, and technological devices will give you trouble! When Mercury is in retrograde action, it can be helpful to avoid certain things – it is not a great time to either start or end a relationship, equally you might want to avoid beginning or ending a big task/project. Making big decisions should be avoided and signing important documents at another time may be best. But you can use the Mercury retrograde period to embrace all things, art, craft and creative. It is also a brilliant time for brain-storming and to formulate new ideas (just hold off on executing them). You can use Jupiter’s retrograde period to start a charitable endeavour, but it is best to avoid beginning a profit-making business. This is a time of enhanced spirituality, it is a great time to use for exploration of all things philosophical. Mars retrograde creates space for introspection, take time out to assess your life and any major projects you are involved in. Be aware that anger levels can run higher during this period. Major relationship, career or business decisions should wait. Any issues that come up during a Neptune retrograde should be dealt with at the time, delaying dealing with things will store up trouble for later. You should feel extra perceptive at this time, so sorting through things may be easier. Utilise the Pluto retrograde for cleansing your mind, body and soul. You will feel inspired and insightful during this period. You are more able to let go of things – whether that is personal projects, or even relationships – release yourself from old attachments. 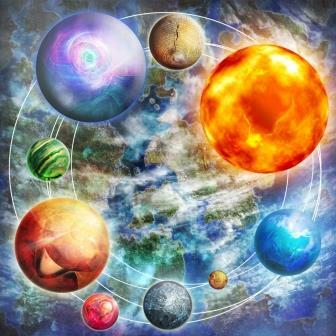 A Saturn retrograde is the perfect time to assess any agreements you have in place or projects you have on the go. You may even find it necessary to renegotiate elements. These decisions will help you on your future life path, which comes under scrutiny during this period. You may feel out of control during a Uranus retrograde phase, like you want to act on all of your impulses. It is a great time for new discoveries and you can embrace your rebellious streak by being inventive. But be careful to control your urges, as you may have to take back silly decisions at a later date! Taking a serious step like getting married during a Venus retrograde should be avoided. Equally ending a relationship during this time is not the best idea. This is a time for slowing things down – love included. Make more time for life pleasures, see the art and beauty in everything.